Providing optometry services in Saint John, NB since 1977, the optometrists and staff of Dr. Brown & Associates use state-of-the-art technology coupled with unmatched personal service to improve the quality of life of our patients through better vision and eye health care. Our services include comprehensive eye examinations, specialty contact lens fittings and LASIK evaluations, as well as the latest styles in glasses and an extensive inventory of contact lenses. 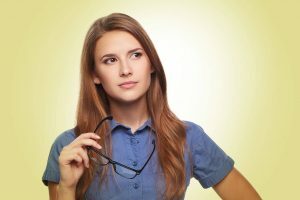 Regular eye examinations are an important part of maintaining your best possible vision and eye health. Call us (506-634-8882) or e-mail us for an appointment today. We’re here to meet your eye care needs. I am very satisfied with the business and services of Dr. Brown and Associates. My glasses that I got were not quite right however the people at Dr. Brown’s did not hesitate to take them back and give me a new pair without any hesitation. I enjoy every aspect about being a patient here at the office of Dr. Brown and Associates. They are such a great group of people. My experience has always been positive! My experience has always been positive with professional and polite staff providing thorough eye care and referring me on to other health care providers when necessary. Dr. Henderson is wonderful! She is fantastic with my children and recognizes us outside of the office. She makes each visit a breeze! All of the staff at this office are amazing! Would highly recommend if you’re looking for a new optometrist. I would recommend Dr. Brown to anyone! Dr. Brown is the most caring, compassionate, and knowledgeable optometrist there is! For many years I have trusted him, and Faye, for wonderful care at his St. George office. He has helped with many ups and downs on my vision journey (and there have been many). I would recommend Dr. Brown to anyone needing vision care. 2 thumbs up and 5 stars! Getting my eyes tested was super easy and getting my prescription glasses was pleasantly fast. Professional staff with excellent customer service from start to finish. 2 thumbs up and 5 stars. Looking for an Optometrist in Southern New Brunswick?